The target value of the supply from the screw feeder can be specified. 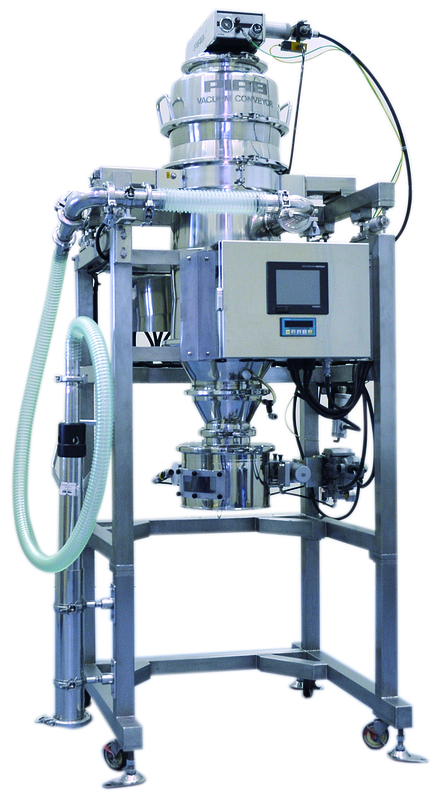 The PID control ensures that the upper volumetric feeder follows this target value. The discharge amount from the screw feeder can be confirmed even during replenishing operations in the continuous supply mode. It can also be used as a flowmeter. Because there is not non-control time unlike loss in weight control, stable consecutive measurements are possible. 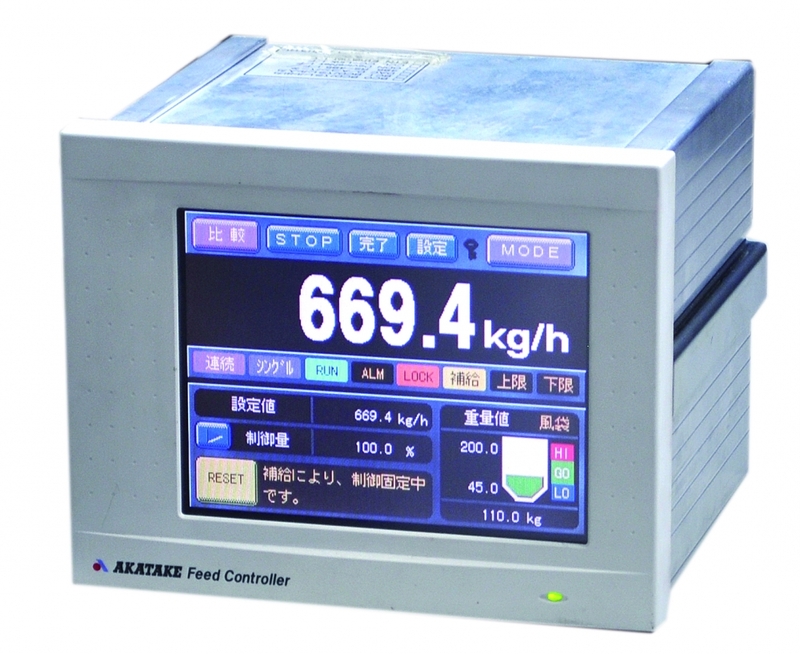 This device measures the weight reduction of powder discharged from the quantitative feeder and controls the weight reduction speed according to the set speed. It can achieve very high supply accuracy therefor "Outlier determination function", "limit control", and "digital filter" by prevent control the amount of runaway due to disturbance. Also by the original control system. Discharge characteristics are recorded during operation in the automatic adjustment mode. The very compact single device provide conveyance, storage, and weighing function. 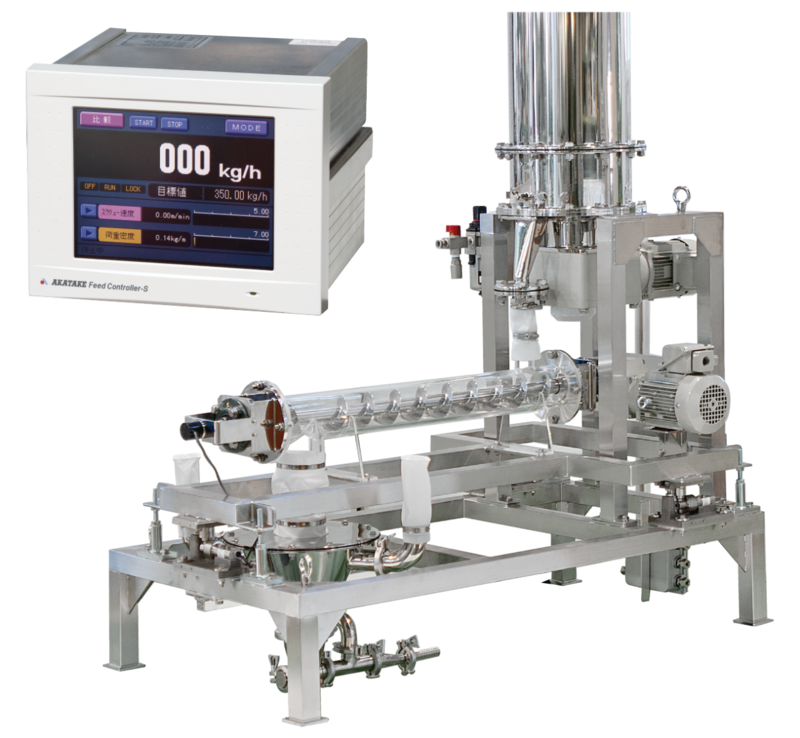 A wide range of high-speed measurements are available by use of integrated weighing type. All parts can be easy disassembly cleaning as lightweight. By mounting the hand lifter, it can be used in the required time and a location. Acquisition of replacement parts has been made easier through the use of many general-purpose parts. 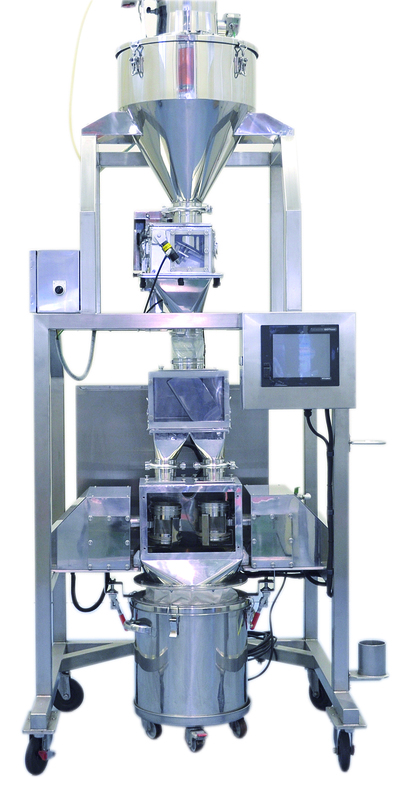 As measurement is performed based on the cumulative number of cup measurements, a wide range of weighing can be performed with a single device. To use the small scale of the measuring cups, can be reduced the scale interval, it is highly accurate metering. Stable measuring has been realized with the use of non-stick type chute and cup. It is easy to disassembly cleaning and is best to switch high-variety low-volume　multi-product line. The operating at only air and AC100V power supply, it can be used in the required time and a location. As measurement is performed based on the cumulative number of cup measurements, a wide range of weighing can be performed on a single device. Stable measuring has been realized through the use of non-stick type chute and cup. 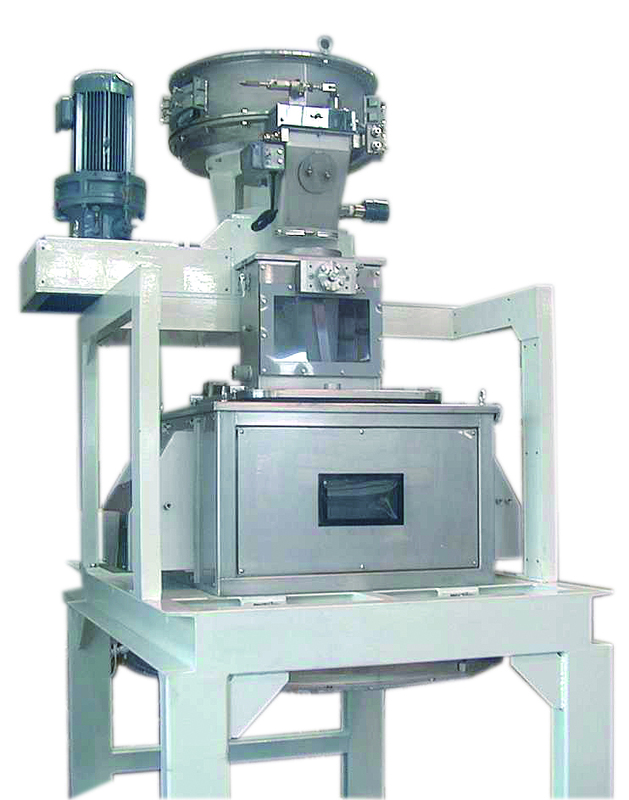 There is no disturbance or scattering of powder as the measuring cup operates in an isolated and sealed section. Copyright (C) 赤武エンジニアリング All Rights Reserved.